Local Motion is very excited to offer these spa services! Breanne Arnold, our licensed and trained skin care technician, uses Bioelements, which is proven to be one of the finest professional skin care products available. Not only will Breanne provide you with the finest of in salon skin care, she will teach you how to care for your skin and maintain the benefits everyday at home, to ensure that you stay looking your youngest! Local Motion offers a wide array of skin care treatments, all designed to improve and enhance the appearance and texture of your skin. Breanne offers and specializes in a variety of unique facial experiences, all developed with your specific skin care needs in mind! Designed for your exact complexion, this personalized facial is totally customized from start to finish! You’ll experience a custom-blended deep pore cleansing, exfoliation, and massage of the face, neck , and shoulders followed by a therapeutic Bioelements mask and serum, which is designed to correct specific problems. Emerge an hour later with immaculately clean, smooth, and glowing skin. A luxurious facial designed to soothe and soften your complexion while it deeply de-stresses your entire body. You’ll enjoy gentle yet thorough cleansing , a soothing Aromatherapy Oil massage of the face, neck and shoulders, relaxing steam inhalation therapy, and a customized Bioelements mask laced with calming plan extracts. All signs of stress will float away as you emerge with renewed skin that glows with radiant health. This is the ideal treatment for sensitive skin that needs extremely gentle care. If evening-out your skin tone and fading dark spots is a priority, this is the facial for you. It starts with a thorough skin cleansing followed by an EnzymeTherapy exfoliation treatment custom blended for your skin. Next, a professional-strength Lightplex Pigment Balancing Serum is penetrated deep into your skin where dark spots are formed. To finish, you’ll experience a customized facial massage. 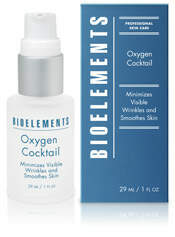 It’s the perfect treatment to help you attain even-toned, spot-less skin. All facials include a hand, arm, face and neck massage and Bioelements products can be custom blended just for you and your skin’s needs right here at Local Motion! Electrolysis is the only FDA approved method of permanent hair removal. It also has the best overall results, compared to any other method, in removing unwanted hair. Local Motion utilizes state-of-the-art technology in electrolysis hair removal. You can finally say goodbye to unwanted hair, whether it’s on your face or on any other area of your body! Call Local Motion for a FREE and honest consultation! Waxing is a method of semi-permanent hair removal, which removes the hair from the root. Breanne can wax almost any area of the body, including eyebrows, face, bikini area, legs, arms, back, abdomen and feet. For body waxing, please be aware that hair needs to be AT LEAST a quarter of an inch long for the wax to grab the hair. The longer the hair, the cleaner your results will be. We will do our best to tweeze any stray hairs.